This post is sponsored by Rosetta Stone and features affiliate links, but as usual you get our honest opinion from services and products we’ve tried and recommend. Learning a new language can be a difficult task, especially when you have a busy life and you need to polish your language skills fast. After four trips to Italy and a lot of failure trying to understand and speak Italian, this year we planned our summer in Italy in a different way. Rob and I love the Italian accent and the vibrancy of the language so we decided it was time to put our heads down to study Italian for travel once and for all. It all started in May, when our crazy plan to learn Italian took shape and we had 3 months to do it. Our years of travels have proved that when you know the local language you can have a deeper experience in a foreign country. You can get closer to people, discover things beyond the tourist attractions and in our case eat all the good Italian food. We don’t need to speak Italian fluently, what we wanted is to be able to communicate, find places, order food and make friends. Rob proposed the challenge and I accepted. We speak Portuguese [our mother tongue], English, and Rob also speaks Spanish. 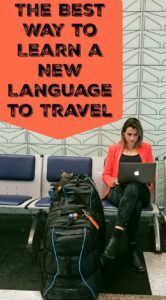 It was time to improve my language skills, but I wasn’t sure if we could manage studying a new language while traveling. 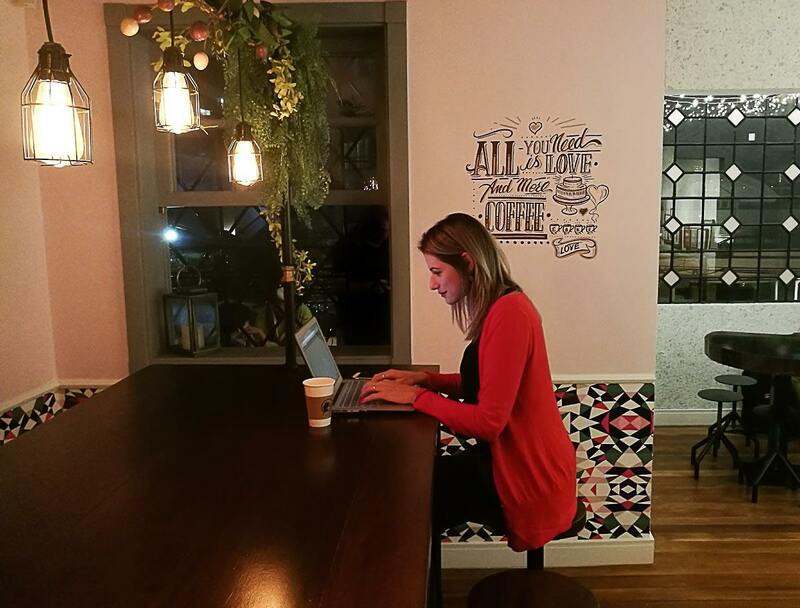 We couldn’t go back to a traditional language course, as travelers and bloggers our life is at airports, coworking spaces, cafes, trains… literally on the go and on our own pace. The Italian language course we chose needed to fit in this crazy scenario. 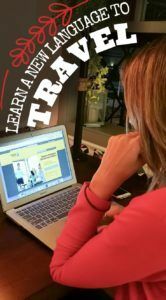 Searching for the best online course that can teach Italian for travelers, we found Rosetta Stone and we liked it at first sight. 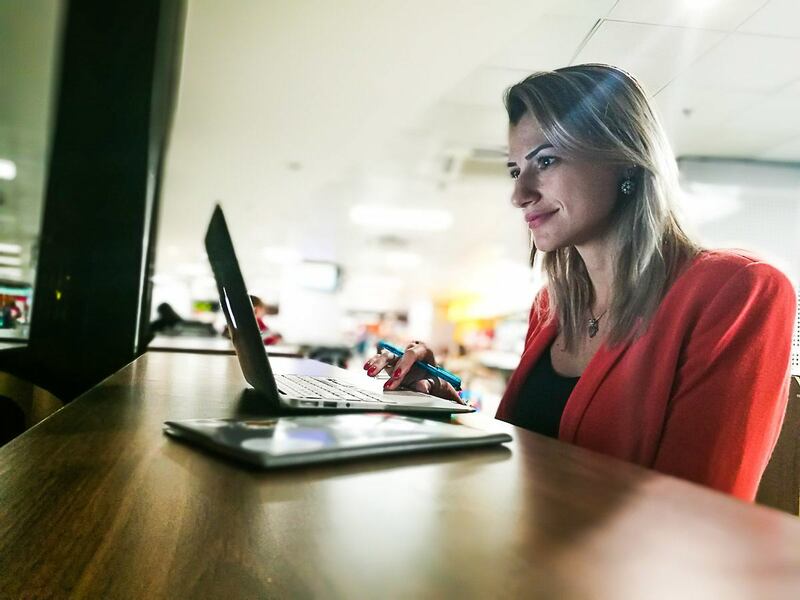 Before I started, I was afraid to invest in an online language course and not be able to learn what I needed, or to have the feeling it was too basic. Luckily, it turned out that Rosetta Stone’s 25 years of experience resulted in an interactive and easy to follow learning process. We gave it a try. 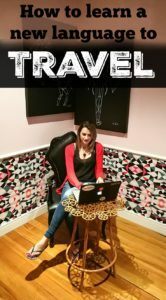 If you are studying a foreign language for travel you have to know that 50% of your success relies on the quality of the course and 50% on your commitment to learn. So if you gonna invest time and money, do it right. What we liked about the Rosetta Stone language course is that it’s all online. They have over 30 different languages course and you don’t need to install anything on your computer. You just login and start studying. The mobile app [Android & IOS] is also a handy tool, and all your learning information is synchronized across devices. When choosing an online language course you must think about the quality of the information. We want to learn Italian for travel, so we needed real life information– sentences, words and verbs that we can use on our trip. I love the fact that the first lessons focused on verbs like eating, drinking and reading… straight to the point. After a few lessons, we quickly realized that Rosetta Stone is an intuitive learning system, focusing on speaking, reading and listening. Doesn’t matter if you are learning Italian, French, Mandarin or English for travel, the system is the same and it’s efficient. For me, reading is the easiest part of learning a new language for travel, especially if it uses the Latin alphabet. The speaking part is what scares me the most. Rob has Italian blood, and I believe the Italian accent is in his DNA. For me however, it’s not that easy so Rosetta Stone’s speech recognition technology called TruAccent was a big plus. 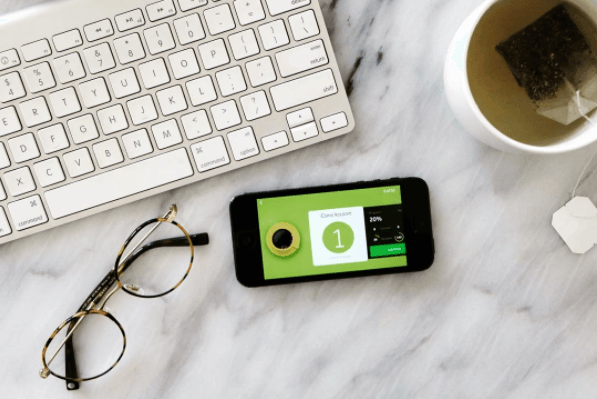 TruAccent corrects your pronunciation in real time (at 100 samples per second!) and you can track your performance, seeing the improvement lesson after lesson. Rosetta Stone’s language courses are now available in a subscription model, which start at a 3 month subscription for $79 usd and increase in price for longer subscriptions. The great part is that you have access to the full program whether or not you’re paying for three months or two years’ worth of access. If you compare to the traditional language schools, it is a great value for money. We did three months, and I’m writing this blog post from the airport. Excited to arrive in Europe and try my Italian on a real trip. I have to stress that the course is only half of the learning process. You need to commit yourself to study daily, or at least three times a week. Different from an in person language course, studying a new language online gives you flexibility, but also can be a challenge if you don’t organize your schedule and take time to focus on your learning routine. We did find that the Rosetta Stone app makes it easy to find the time to study frequently as it’s portable and fun. Study and practice leads to perfection. In our case, it will help provide us a great experience in Italy. 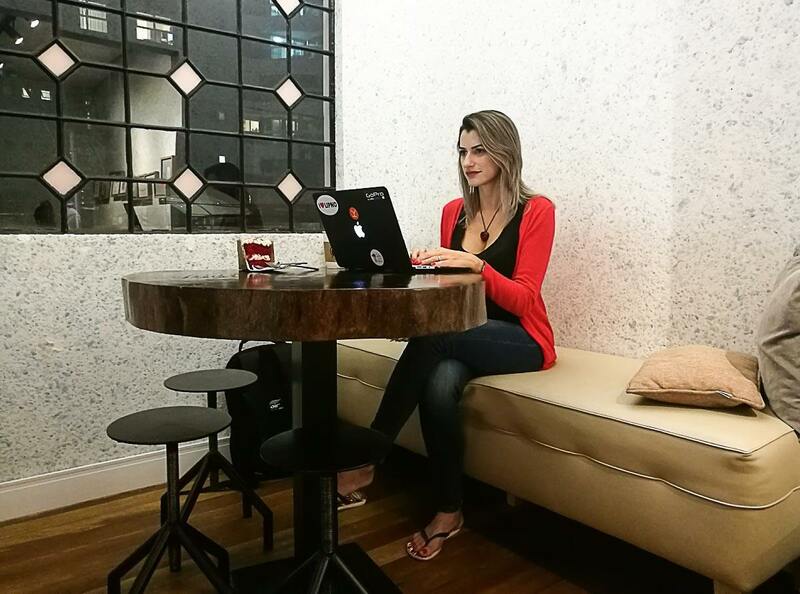 We decided to study Italian for traveling when we were in Brazil and we had a lot of things to do and tons of work, so finding time to study was a real struggle. We studied one hour per day, and it didn’t matter where or when. We took full advantage of the flexibility and freedom of Rosetta Stone, studying in different places, especially when traveling. Those long hours at the airport, in the train or bus, turned into studying sessions. We even studied during our morning runs– instead of music, we had listening lessons on our headphones. Study a new language before traveling is all about commitment, persistence and creativity. Set it as one of your priorities and you can do it. For me, one of the hardest parts of studying a foreign language online is to measure how I’m doing. I like to know if I’m learning it right, if I’m too fast or too slow. The flexibility and freedom gave me doubts about how good my Italian could be—it seemed almost too good to be true. I have studied English for years, and I’m fluent now. But this time was different, we are in our 30’s with a busy life, minds full of information and learning a new language seems to be harder than before. So I came up with a plan. In order to feel that I’m learning Italian quickly enough that I will be able to communicate in a few months, I decided to challenge myself further. In addition to the Stories feature in Rosetta Stone (which gives you access to read stories in the language you’re learning), we started listening to Italian songs, I tried to read Italian newspapers, magazines and even watch movies in Italian. Of course, it was hard in the beginning, but with weeks I was getting better and better. And from that silly “Ciao Bella”, we are able to order a cappuccino, choose the pasta and sauce we want for dinner, and even understand small talk. Unless you are super organized and self directed, it will be hard to learn a new language without buying or attending a course. I believe the right moment to buy an online language course is now, before the trip. When you are in the process of searching for learning methods, when you feel the enthusiasm and need to learn a new language for travel, for work or for fun. This is the right time! I really want to speak a third language but I thought we were too busy and too old for it. But Rob didn’t think twice, he challenged me and he decided to start the course as soon as he realized Rosetta Stone was the best option for us. Thank God he did it, he took the plunge and I followed him. Now both of us can communicate in a new language and have the feeling of accomplishment that comes with dedicating our time to something that made us better. After this trip to Italy, we might even venture out to learning another language with Rosetta Stone. We just need to decide where we’re gonna travel and then we can start start studying. 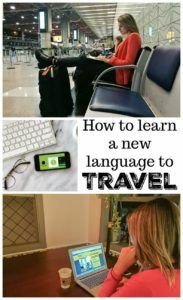 If you are searching on how to learn a new language to travel or work, don’t look further. Buy your Rosetta Stone language course and start today. They have over 30 languages, an intuitive and professional learning system and even better, no pay to play traps. You buy your subscription and you have full access to all the features of the course. They give you all the tools to study on your pace. Try a free demo of Rosetta Stone here and see for yourself. Learn a new language can be easy and fun, if you know how to do it. Absolutely! We love their system.